The Imperial Palace is the residence where the Emperor lives, in other words, the palace in Japan. The current Imperial Palace is located in Chiyoda Ward, Tokyo, and it is a course of jogging and walking for people living in the city as a place full of greenery and water. The place where the current Imperial Palace is located is the place where “Edo castle” was in the Edo period. The Imperial Palace is located in the former site of Edo Castle. If you take a walk around the Imperial Palace, the first thing you should watch is “Sakurada-Mon Gate”. 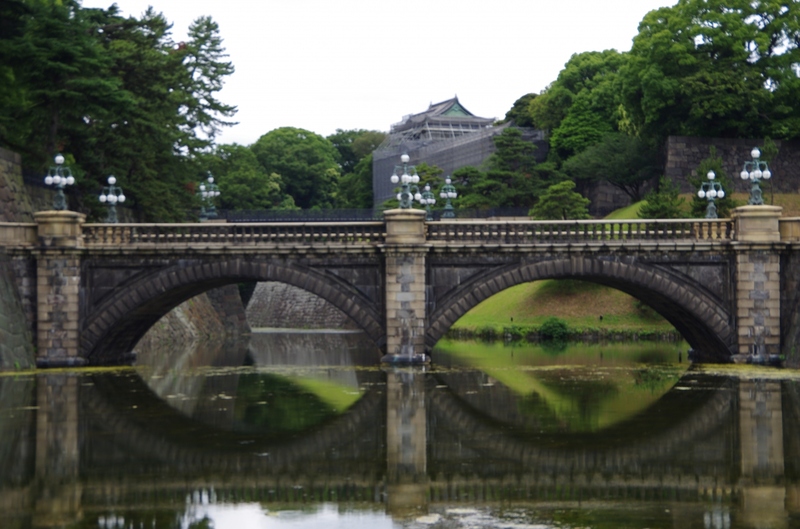 It is located in a place where the green is particularly dark around the Imperial Palace. Sakurada-Mon Gate is designated as an important cultural asset of the country, and it is a gate valued historically. Sakurada-Mon Gate is said to be a defensive castle gate called “Masugatamon gate”. The Imperial Palace East Gardens is a place where you can easily see that the Imperial Palace was an old “Edo castle”. In addition, the area around the Imperial Palace East Gardens is also a place where many flowers are planted. It is a perfect place for walks and dating even if you are not very interested in history. In the Imperial Palace “Bairin-Zaka Slope” is a place where hundreds of plum trees were planted, worshiping SUGAWARA no Michizane (god of lightening). It is said that the plantation was made in 1478, and it is a very plentiful plum spot with a history. The plum season is cold winter time (from December to February). Not only plum but “wax tree” and “hackberry” are planted in “Bairin-Zaka Slope”, and in autumn you can enjoy very beautiful autumn leaves. It is a place recommended for a walk while looking at beautiful plants. “Spectacles bridge” which combines two arched bridges is “main gate stone bridge”. This stone bridge was made in 1887. At the time it was Edo Castle this was made of soil, but then it was replaced by a stone bridge like the present. Kitanomaru Park is a park located on the north side of the Imperial Palace as its name suggests. It was built on the former site of the “old Konoe Regiment”. It is a cherry blossom spot, crowded in the season of the cherry-blossom viewing, but it is relatively free in other seasons, and is a perfect place to take a walk. 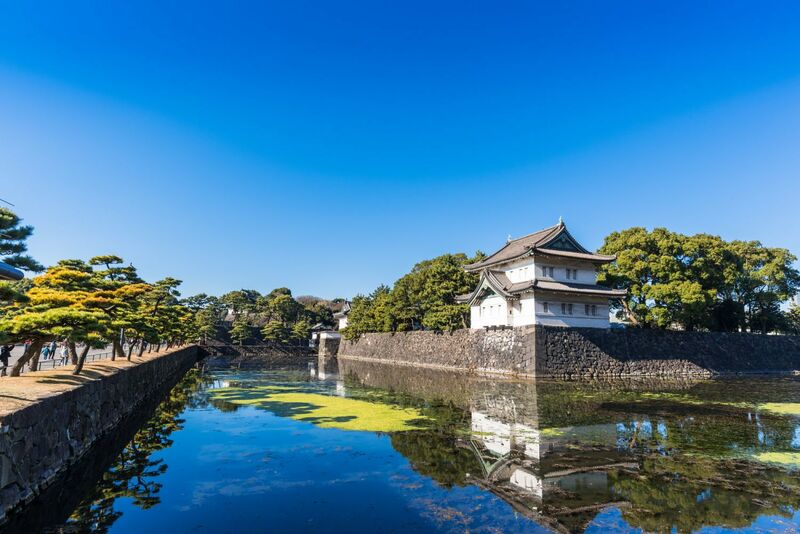 The Imperial Palace is an oasis of a city full of greenery and is a perfect place to take a walk. 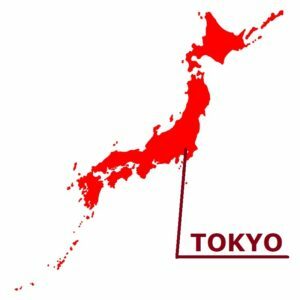 It is surprising that people who are going for the first time “There was such a place in Tokyo”. Please enjoy it when you stay nearby. The “Imperial Palace” which is ruins of the Edo-jo Castle is one of the popular tourist attractions. As well as palace or Imperial Household Agency Government building, you can see a feature of Edo-jo Castle here and there. 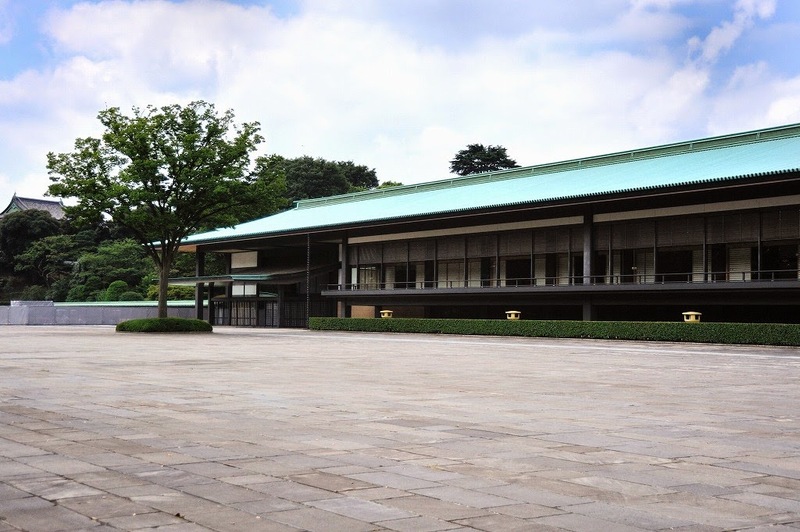 Some facilities are open to the general public, such as Kokyo Higashi Gyoen (the East Garden of the Imperial Palace), Kitanomaru-koen Park, Kokyo-gaien (the outer garden of the Imperial Palace). Since a walk can be enjoyed freely, it is proud of deep-rooted popularity by a runner and a walker. 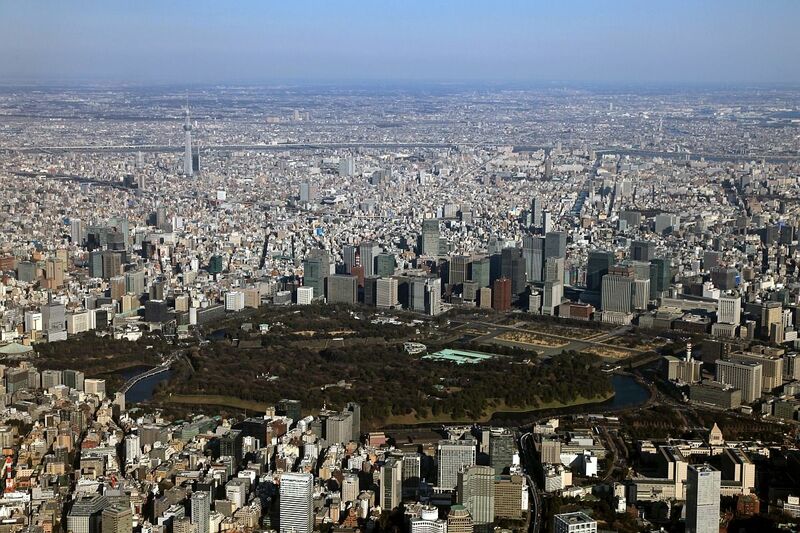 Kokyo-gaien refers to the circumference of Imperial Palace, Kokyo Higashi Gyoen, and Kitanomaru-koen Park. It is circled all around in the moat, and the road is maintained neatly. As a highlight of Kokyo-gaien, there are the “Niju-bashi Bridge” (Double bridges of the Main Gate), “the statue of Masashige KUSUNOKI”, “Sakurada-mon Gate”, etc. The bridge which appears to the front is the “Stone Bridge of the Main Gate”, and the bridge built over the back is the “Iron Bridge of the Main Gate.” These two bridges are generically called “Niju-bashi Bridge.” Usually, the common people cannot cross this bridge. “Sakurada-mon Gate” is the vestiges of Edo castle and is designated as the important cultural property of the country in 1961. It has broken once by Great Kanto Earthquake, but it’s possible to see repaired one even now. The building of a royal palace, where the Imperial Household’s ceremony and event, and His Majesty the Emperor does public duties, becomes main Imperial-Palace tour. The royal palace consists of several buildings. 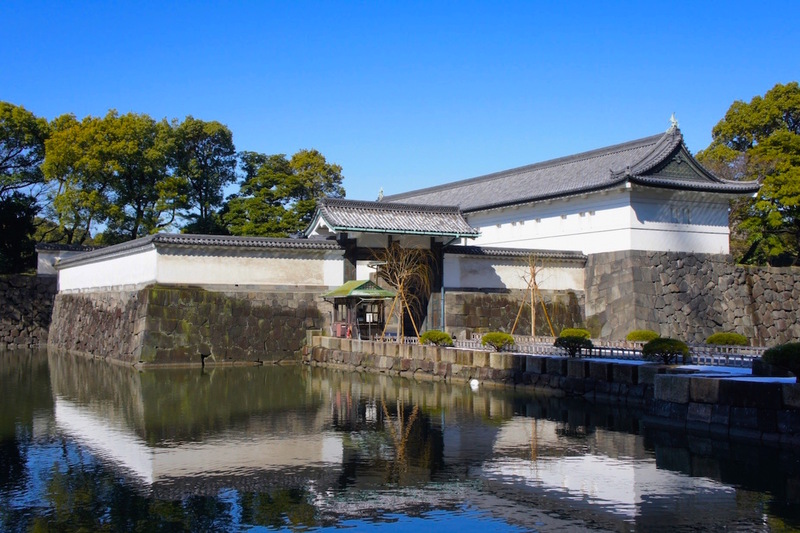 There is a lot of charm around it with the Imperial Palace such as the scenery to which the color is changed by a season and a structure with history. With the beautiful building, the rich nature which grows thick in vivid green could be enjoyed in early summer.